Happy Sunday everyone! I hope this week has found everyone well. I’m really hopeful that I can make something fun out of this Week in Review weekly posting, as I fear that my slow progress through my ‘reading’ list might actually become boring. I’m sorry about that, but I do spend a lot of time doing things like working, mothering, powerlifting, wifeing. You know, all very important things. 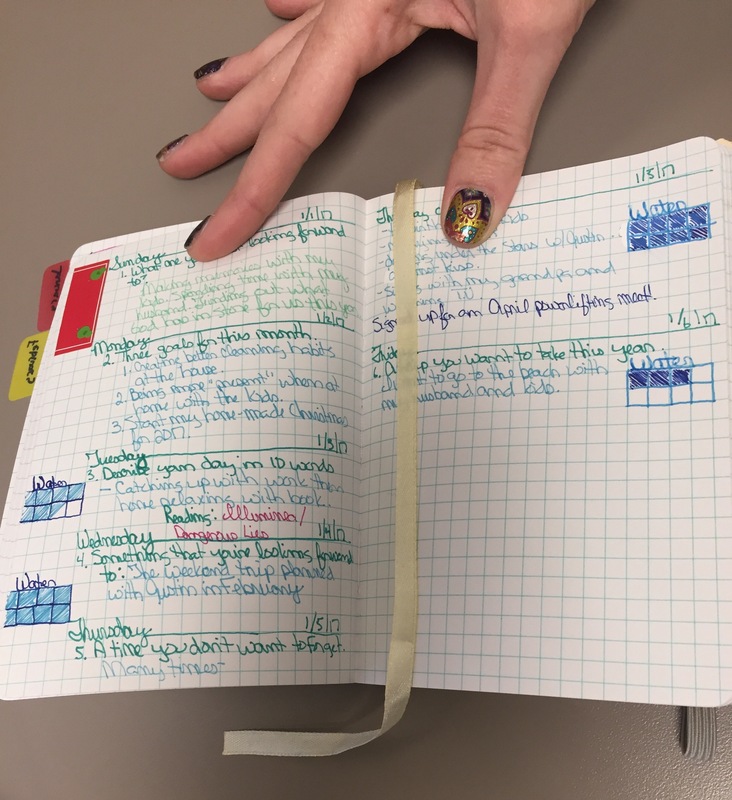 Another couple of my activities also include knitting and crocheting, and since July I’ve been keeping a Bullet Journal. This week I was happy to re-stock on my favorite pens for my journal. I’m a leftie, and I have trouble with the push/drag of pens. Sharpies are pretty smooth riding, and I love the boldness of the ink. I also finished up a scarf that I had been working on for……well, way too long. A friend purchased the yarn and asked me to make her a Bronco’s scarf. I did. But I should have gotten it done about a year ago. Yiee. But I HAD to finish it because I want to start making Christmas gifts for this year, and I didn’t want to start making new things until I finished the one that I had committed to first. Also in the playbook for this week was starting the preparations for my youngest daughter’s 10th birthday! She is alllll about Five Nights at Freddy’s right now, so I’m doing a FNAF themed birthday party, the best I can anyway. I already said it on Facebook, but Chuck E. Cheese’s really needs to bank in on this new and probably quickly passing fad while they can. Do you know how many pre-teens would LOOOOVE to go see the freaky animatronics from their game, and play in an arcade as well? Seriously, get with it people, before the opportunity is gone. Anyhow, I’ve got a few things on Etsy ready to buy, and I picked up some REALLY nice and REALLY expensive FNAF invitations. They are glossy print pictures, but $20 for invitations is a lot, you know. Still, the nicest invitations I’ve ever purchased by far, so it does kind of take some of the hurt out of the purchase. If it wasn’t such a specific theme and I told the kid from now on we are only doing parties for the milestone birthdays (10, 13, 16, 18) from now on – so I kind of felt like it had to happen, you know? Kind of creepy, don’t you agree? Okay, so on to the books. Can Lavinia and Nicholas look beyond painful pasts and present prejudice to see their future? And what will happen when Lavinia learns a family secret that alters everything she’s ever known? My currently reading list is actually the same as it was last week, so I won’t bore you with that one. So until next time my lovely readers, cheers! Another something new I’m trying out. 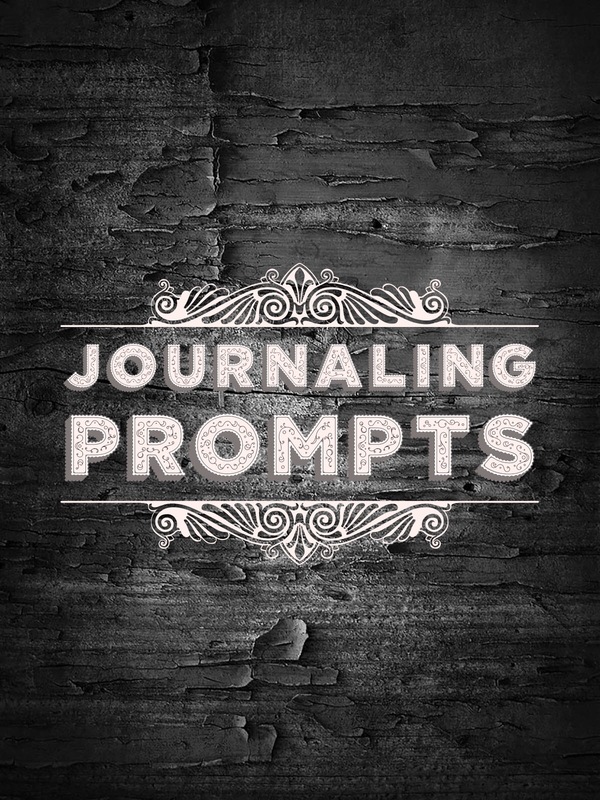 I got these short journal prompts via Pinterest, and have been using them in my Bullet Journal. This is just the weekly pages, I have a monthly tracker and lists too. I figured that so far the information wasn’t overly private, it would make a cute weekly blog post. If ever it gets too private, I’ll just mark the day as such and move on. This week’s is a bit shorter because the week started on Sunday, and I’m going to post on Fridays. Let’s just see how this goes, shall we? 1. What are you most looking forward to? Making memories with my kids. Spending time with my husband. Finding out what God has in store for us this year. 2. Three goals for this month. b. Being more ‘present’ when I’m home with the kids. c. Start my home-made Christmas presents for 2017. 3. Describe your day in 10 words. a. Catching up with work, then home relaxing with a book. 4. Something that you’re looking forward to. f. Sitting with my grandpa in his big red chair and watching tv at 5. 6. A trip you want to take this year. a. I want to go to the beach with my husband and kids. So this is something new I’m going to try – we’ll see how consistent I can be with it. Just to give you a little look into my life and see what’s happening. My hope is to do this on Sunday evenings, but since this week has been messed up due to the holidays, Monday it is. So this week has been pretty nice. I haven’t had many back-to-back days off of work in a while, so having 5 days over the Christmas weekend, and then 4 over the New Year’s weekend was a special treat for me. You would think that I would have read more, but geesh, times are busy. I did get to Barnes and Noble and purchased the first two books of The Illuminae Files series. My friend has raved about these books (mostly the audiobooks) but when I saw them in person, the cover, the inside – everything, I knew I had to own them! I also went shopping with my children. They spent pretty much all their Christmas money. but that’s okay…it was the point I guess. I know I should probably teach them to save (and my son has learned that concept since he saved a couple years ago and bought himself an ipad, which is probably the most used electronic he owns). But we had fun. Abigail bought herself a whole load of Five Nights at Freddy’s stuff. She’s also gearing up for a FNAF birthday party later this month. Azalyah paid to have her ears pierced (again) and then took advantage of the sales at Claire’s. Elijah bought a GIGANTIC stuff tiger. I wish he wouldn’t have…I encouraged him to look around for something else…alas, he has a thing for tigers. I have the ARC Version of The Piper’s Price by Audrey Greathouse which she sent me for review. I’m about 30% into it, and I’m hoping for a bit of action here soon, it’s kind of moving slowly for me right now. Illuminea by Amie Kaufman and Jay Kristoff I just couldn’t wait to open the cover of this series. It’s written via documentation and acquired IM conversations on board a ship in space…it’s kind of the YA Star Trek without non-humans so far. Very fun to read! 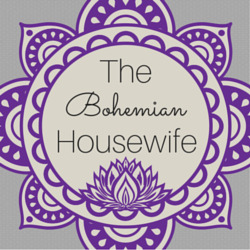 I was tagged in a post by Alisha at The Bohemian Housewife WAYYYYYY back forever ago, to do this ‘getting to know your blogger’ survey. I started it and just recently got the chance to finish. So I figured, what better way to start off the new year than a quick survey!? And by quick, I actually mean quite long…. Favorite Dessert: Cinnamon Rolls, please. Best book you’ve read in the past 30 days? I haven’t read much in the last 30 days. Paper Crown I guess. When was the last time you cried? I don’t know..but I guarantee it was a video I just watched on Facebook. What time do you normally wake up? 6:15 – I’m a full time working mom, have to get those kids up, ready for school and out the door by 7:20. If you could have any book character as your BFF, who would it be? Tessa Gray from The Infernal Devices. Have you ever gone skinny dipping? I’m going to be honest and say that I do not have near enough confidence to do something like that. When do you blog? Lately, I don’t. I’m at work 9 hours a day, and when I’m at home my husband or kids are on the computer – hubby works full time and is in college full time as well, but since we’re looking at a new year, I’m trying to make some goals that will have me blogging more frequently. How many states have you been to? Gosh, I don’t know. Like visited, or driven through. I’m going to go with visited and guess 10. How many Countries have you been to? 4 if you include USA. I’ve been on a couple cruises, that helped me out with this one some! What is your comfort food? Whatever it is, it must include bread. Favorite thing that is blue? Well, that is my favorite color, so that’s a hard call, but I’m going to go with the ocean. I’ve been on two cruises, and nothing is as beautiful and changing as the blue ocean. Favorite Holiday Candy? Why Holiday? That’s pretty specific. Chocolate is good. Chocolate covered pretzels..or um…OREOS! Yum! If you could have any animal as a pet, what would you pick? A cat. I’m pretty happy. Scary: I don’t do scary. Long: The last book of The Cinder Chronicles..I didn’t think it was ever going to end. What is your favorite holiday? Thanksgiving or 4th of July. Both because it’s time with family with no added pressure. Name something you’ve always wanted to do. Travel to Paris. I took French in High School, and while I was there the class took at least 2 trips to France, but I wasn’t able to afford to go either of the years. Now I just…want to go. Do you have any tattoos? I just got one this year…and that is the only reason it’s not listed above. What is your strange habit? What makes you think I have any? My habits are pretty normal. I used to bite my nails all the time, but then I discovered Jamberry Wraps…problem solved (finally…seriously I’ve been biting my nails since basically childbirth). How many siblings do you have? One whole brother, one half sister, 5 sister-in-laws (counting both sides) and 2 brother-in-laws. Pizza or Tacos? Pizza. For sure. Sad Endings or Happily Ever After? Always Happily Ever After for me. What is the last thing you drank? You can always rest assured, it’s either water, coffee, or tea. I don’t drink much else. Would you rather be a mermaid or space traveler? Mermaid. I think that what I’d find in the ocean would be prettier than the vast area of space. Doctor Who or The Walking Dead? Er..no? Do you dance in the car? Yes. And I’m the world’s best karaokier…in the car. Favorite subject in school? Band. All my friends were there. What is the weirdest thing you own? Who came up with these questions? I don’t know. I’m about as normal as normal gets. What is on the walls of the room you are in? Family pictures, and paintings that either I or my daughter painted in those paint classes that are popular now. Have you ever won a big giveaway? A big one, no? I rarely win anything, my mom apparently kept all the luck she was supposed to pass to me. She wins things all the time. A big screen tv, a wide variety of concert tickets, money. She’s got a knack for winning. If you could go anywhere in the world on vacation where would you go? Ha! Paris, France. What movies could you watch over and over and still love? I’m a re-watcher, much like I’m a re-reader. My family watches Harry Potter movies every year (we’re in the middle of a re-watch now), Pride and Prejudice (with Kiera Knightly), Ferris Bueller, 27 Dresses…there are for sure many, many more. Were you ever a boy/girl scout? For a short amount of time. Ever ran out of gas? Yes. A few times in 2016 alone…my gas gauge was broken. Where would you want to retire to? Anywhere warm. And if they had normal size bugs also – that would be a bonus. Are you a morning person or a night owl? I used to be a night owl, but growing up has changed that. I’m a semi-morning person. I don’t really want to get up, but once I’m up I tend to wake up pretty easily. What is most important in life? I’m going to go with Family on this one. And love. Not receiving as much as giving. ….I’m supposed to add one, but this survey is already really long.